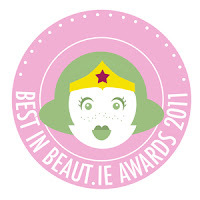 Best In Beaut.ie Awards, In Association With West Coast Cooler! Yesterday evening, I attended the glamorous Best In Beat.ie awards, with my best friend Emma! Beaut.ie is Ireland's biggest and best beauty blog if you don't know, that the gorgeous Kirstie and Aisling McDermott run! Over the last few weeks, readers have voted on their favourite beauty products - everything from hair, to makeup to skin! Nearly 70,000 (wow!) votes were cast overall, and yesterday the winners were announced at the beautiful Dylan Hotel in Ballsbridge. It was brilliant to see some familiar faces and to meet other Irish beauty bloggers over a nice glass of some West Coast Cooler. I tried all of the 3 flavours by the way - Original, Rosé and the newest addition Citra - I personally loved Rosé the best and I had a good few glasses of it! The finger food was delicious also and oh-so posh! I nearly died trying one of the brownies - yum x100! 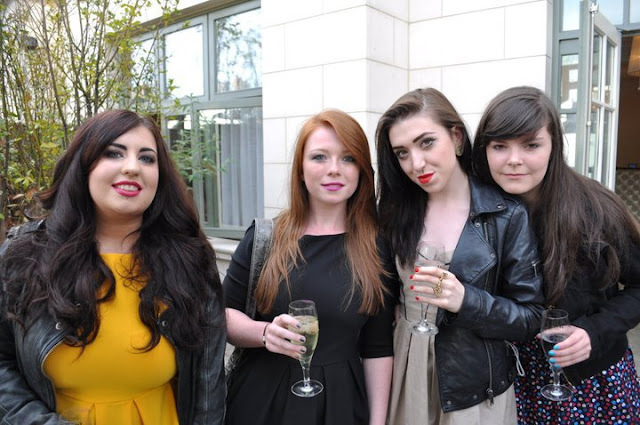 Nabbed this photo off of Beaut.ie's Facebook page! Dee and Sinéad from Viva Adonis, myself and Emma, all enjoying some West Coast Cooler. The stunning Karen Koster from TV3's Xpose was there and made the first speech of the night. There were 48 categories of awards, so to save all of us gals in our killer heels from standing around for 48 announcements, the winners were put on a screen and a sheet was handed out to us with a list of the winners! I voted for my favourite beauty products of course, and I was delighted to see some of my faves had won. For a full list of the winners click here, and do to tell me what you think! There was a great mixture of drugstore and high-end brands and unsurprisingly M.A.C came out as Ireland's favourite beauty brand overall! The goodie bags we each received at the end of the night were delightful, to say the least! 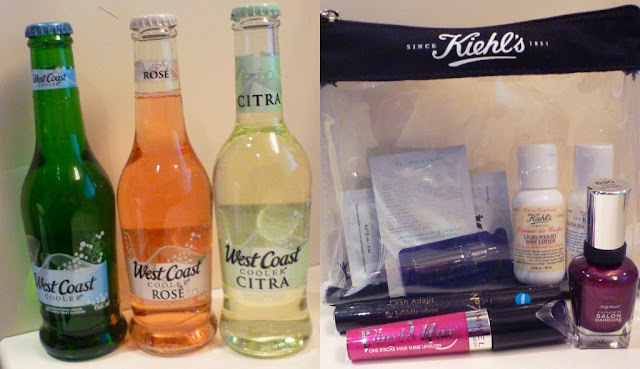 Each contained 3 bottles of West Coast Cooler, Kiehl's skincare samples, a No.7 mascara, a Rimmel lipgloss and a Sally Hansen nail polish. How amazing is that!? A nice meal in Eddie Rockets ended the night well and I sighed with relief taking off my 6 inch heels! Totally worth it though.. thanks Kirstie and Aisling!